Get to the App Store and download W.E.L.D.E.R. 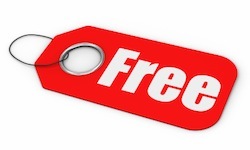 for iPhone, iPad and iPod touch FREE this weekend only to celebrate Labor Day in the U.S.! Normally priced $2.99, this chart-topping, award-winning game can be downloaded for free by any word-welding fanatics! The latest W.E.L.D.E.R. iOS update added twice the amount of original content – grab it from the App Store now and test your word wizardry! Wow what a phenomenal past few weeks! 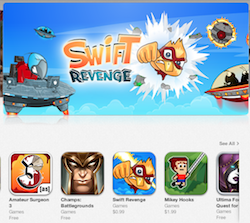 Ayopa Games’ new arcade fly-and-smash game Swift Revenge launched to great user reviews and was massively featured by Apple. It’s just $0.99 so check it out on the App Store! Next, we launched a huge new content update for hit word-puzzle game W.E.L.D.E.R. featuring twice the original amount of content! It was featured yet again by Apple ensuring a massive response from fans – see for yourself on the App Store! A Smashing New Swift Revenge iPhone Trailer! To celebrate the impending launch Swift Revenge on the App Store, we’ve posted an action-packed new trailer for you. Spaceship Apps’ fast-action arcade scroller packs devastating weaponry, tactical boss battles, cool environments, and loads of humor to boot! AppAdvice.com says it “could soon be one of the best vertical scrollers in the App Store” so smash this trailer link and see what all the buzz is about!